Curious to see what an exchange experience is actually about? What adventures expect you when you decide to step outside of your comfort zone? 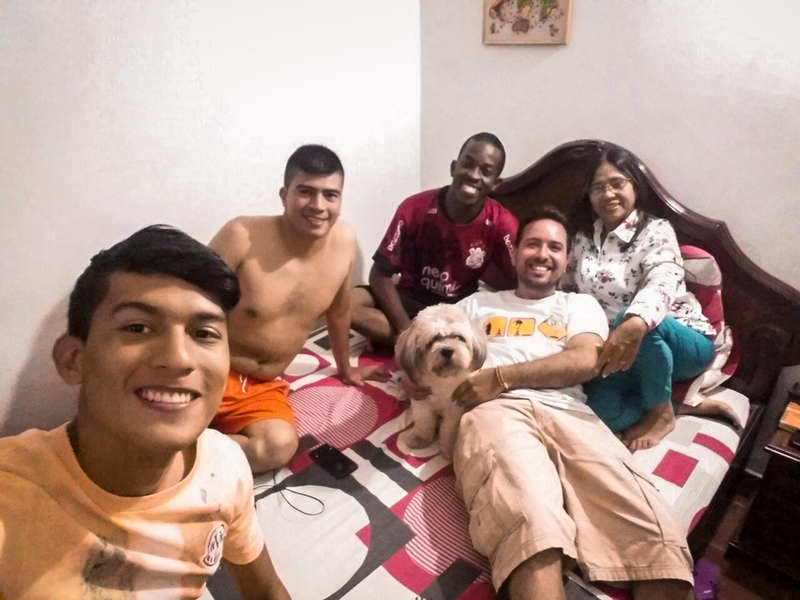 If yes, check out the story of Leonardo Madureira, and find out more about his volunteering experience with AIESEC in Colombia! 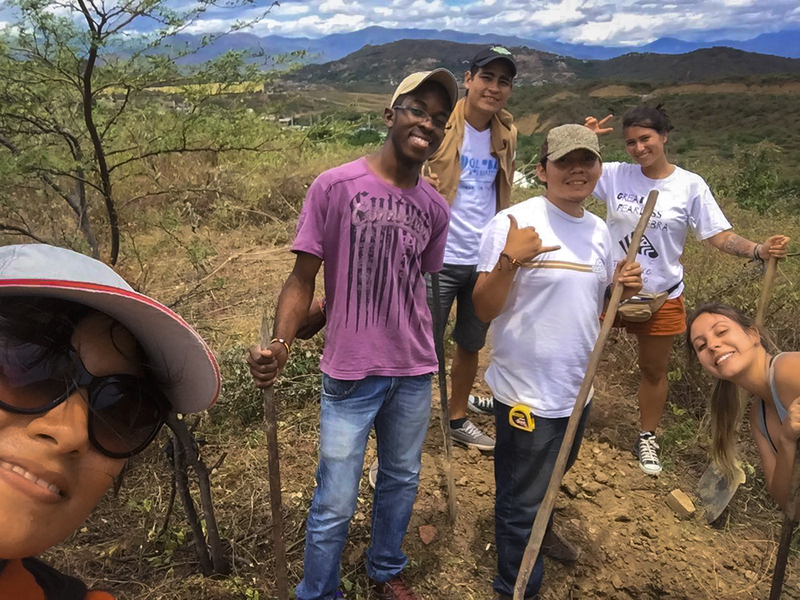 My name is Leonardo Madureira Leite, I’m from Colina and this is my story in Cúcuta, Colombia during my volunteering project in 2017. 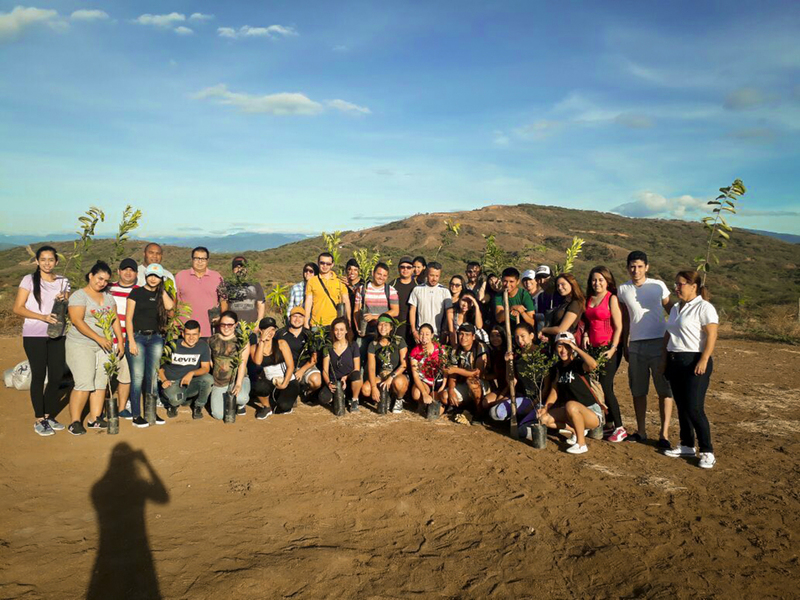 The first activity we developed as part of the project was the planting of 40 fruit tree seedlings spread throughout the community. 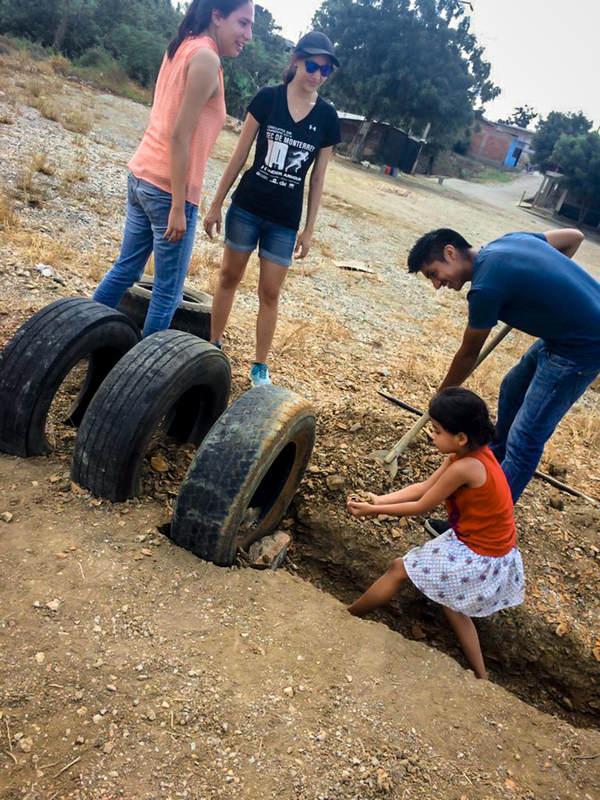 Many members helped us by lending tools and drilling holes, including children, who had fun using the equipment. At the end, several people from the university taught us some planting techniques, such as mixing soil with fertilizer and adding water. After that, we talked to the locals about what their main concerns are. They said they needed a hall to hold meetings and discuss issues pertaining to the development of the community itself. We cleaned the place and made it usable. The engineering and architecture students made the blueprints and we dug holes to fix the metallic pillars. We also added several tires around the area in order to customize and make it sustainable, since the design required this feature. All the materials used, such as paints, metal structures, cardboard tubes for the roof, wooden floors and tires were obtained by donation from small companies in the city. We succeeded in empowering the community in such a way that the residents themselves helped us with the work, which was quite intense and tiring. They lent us tools such as shovels, spades, pointed metal bars and even strollers, lent a space in their house to store some materials and even carried cold water when we were tired. The children had fun using tools they could barely hold. I believe I took a piece of each person with me. The charisma, simplicity, receptivity, joy and, above all, the way they saw the world. I made many friends through the streets of the city and through commerce, which contributed to my experience and also helped me to understand and speak a little Spanish. The main learning that I will keep will be the project that I developed and the people of the community that we managed to empower, especially the children, as well as the family that welcomed me as a son and the friendship with the exchangers. It was six weeks of learning and I was able to see the world and the diversity of people without immediately criticizing. I have learned to put myself in the position of others and realize that there is still a lot of social inequality in the world and that we are, in most cases, much more privileged than most and there is no reason to complain about our little problems. Believe me guys, my experience was incredible! If you want to become part of this big change and #LiveTheExperience, just click here!